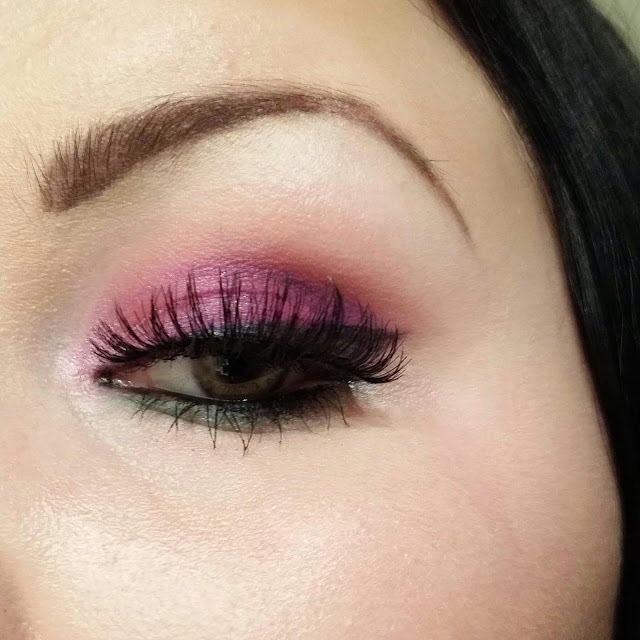 I you follow my facebook page you know that for Wheels 2014 I wore my new absolute favorite lashes, they are the Ardell Professional Double Up Lashes 204. I LOVE these lashes cause they are super long and dramatic but they still are wispy and blends so well with my own lashes it's amazing! I've used them a couple of times now and they still feel like new whenever I put them on, even if they don't hold me forever they are not that expensive and I will most definitely repurchase them in the future! Here's a picture of me wearing them!